Enna- The area has been inhabited since prehistoric times. In the 7th century B.C., it came under the Greek influence of Gela and in the 4th century B.C. it was conquered by Syracuse. Enna was then occupied by the Carthaginians and then the Romans in 258 B.C.. Enna is famous for the first documented slave revolt (led by the slave Eunus) in the world in 139 B.C.. 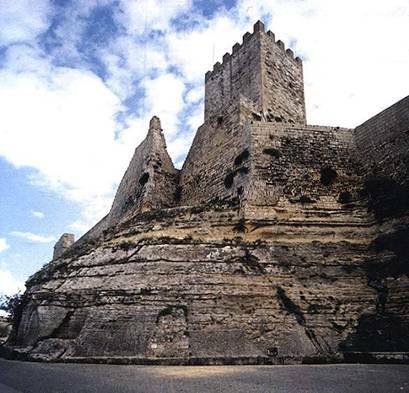 It became a stronghold during the Byzantine period, and was not captured by the Arabs until 859 B.C.. The city flourished under Muslim rule, this well being continued under Norman rule. It was also here that Frederick the Second of Aragon was crowned king of the Trinacria and called together the first parliament in 1324. Enna was made a provincial capital in 1926. 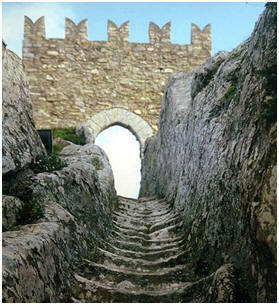 Sperlinga - Built by the Normans in the 11th century, the castle in Sperlinga is literally carved out of the mountain. The medieval village also features many cave dwellings still occupied to this day.